Buzzard Tracks: Northeast Ohio Music News and Reviews: Charlie Mosbrook. A Time Long Gone. Charlie Mosbrook. A Time Long Gone. 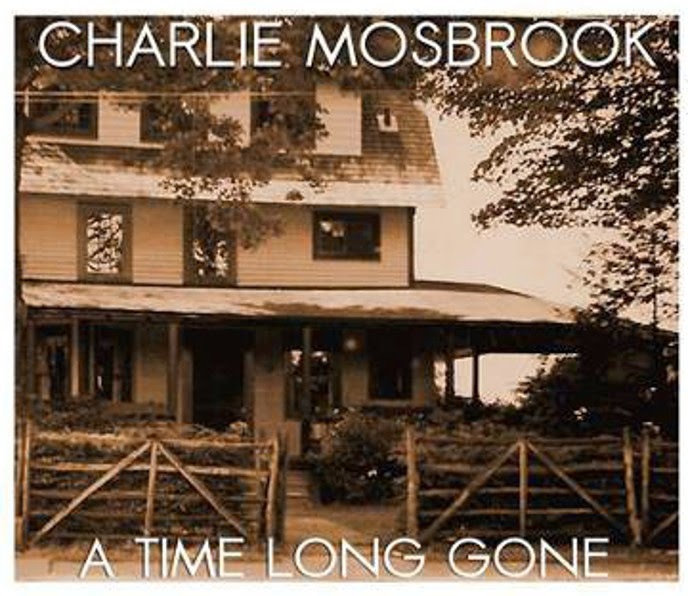 We reviewed Charlie Mosbrook’s last album, Something to Believe, back in 2013, and were quite impressed with his songs, his voice, and his musical skills. Now, nearly two years later, he’s come out with album #11, a set of postcards as he calls them, of places, events, and people in his life. Using simple arrangements, his intention is to capture these moments musically with the help of a bunch of friends. All the songs are his, with the exception of “Hold Me Close” (by Alvin Loki Baird) and the closer, “I Bid You Goodnight” (traditional), both fine tunes. Let’s begin with the more upbeat (rhythmically, anyway) tunes, toward which I gravitate. “Up Above the Stars” is the opening tune, and has a bright, sweet sound, and with help vocalist Cindy Langmack, the song makes a lovely start to the album. “Emeryville,” which documents a train trip from Denver to California, is an old-timey song, rather jaunty in tone. I very much enjoyed “Hemlock Hill,” a song about childhood, and Mosbrook asked Becca Bessinger to sing along with him, an excellent choice. Clearly, “Howlin’ at My Door” is about winter in Northeast Ohio, and manages to make the recent extreme weather seem a bit less awful. Despite the lyrics about infirm old age with impending death in the near term, “Easy Win” still provides a bittersweet smile in the small victories. As for the slower ballads, I find a great deal here to admire, and even more to contemplate in terms of their messages. “Minister Creek” is a case in point, about making life decisions as a youth, out in the wilderness where one can think. Again, Mosbrook enlists the aid of a female voice, in this case Rachel Brown, to provide a nice contrast to his own vocals. “Anywhere Else but Here” is a heartbreaker about love gone cold, and is possibly my favorite ballad on the album. Lastly, I’ll mention “Accidental Fruit” as another vignette, of the sadness of being left but refusing to believe it. Enough description. What you need to know is that A Time Long Gone is an excellent album, finely conceived and gorgeously sung. The more I played it, the more I enjoyed it. I have to warn you, there are some tearjerkers here, and songs that will stick with you long beyond the playing. Mosbrook shows himself, once again, to be a remarkable songwriter. He seems to be scheduled out of town for awhile, but will be playing on April 25th at Coffee Corners in Burton, and the Barking Spider on May 12th. 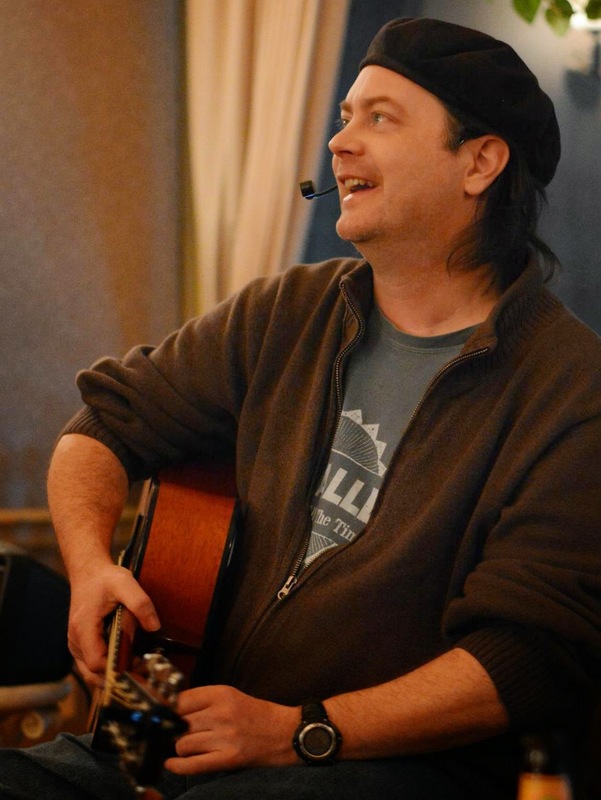 Personnel: Charlie Mosbrook (vocals, guitar, bass, mandolin), with other musicians on selected tracks. Bill Lestock (mandolin, guitar, fiddle), Cindy Langmack (vocals), David Krauss (harmonica), Jon Mosey (mandolin, banjo), Xe La (vocals), Jim Brentar (dulcimer), Rachel Brown (vocals), Becca Bessinger (vocals), Becca Rhodes (violin, vocals), Laura Joy (vocals), Stephanie Morris (vocals), Davidione Pearl (vocals), Kaitlin Emmett (vocals), Mackenzie Brooke Cox (vocals). Nice write up about the man and his music. Abandoned Playground. The Trouble with Angels.